Make large body of code easier to be understand. Make client code more readable. 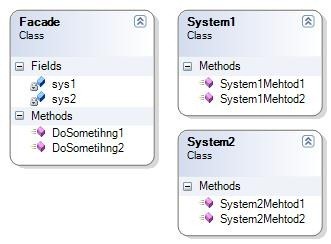 Reduce dependency of client code on class library, thus you will be able to change the internal implementation of your component without affecting client code. A Façade design pattern is used when you want to implement a new way to use component which is easier and more convenient. While Adapter design pattern is used when an interface must match a specific contract and it should support polymorphic behavior.